The research group ‘Physical Activity Applied to Education and Health’ (AFAES), a PROEM network partner, has been awarded the 8th University of Jaén Prize for Scientific Dissemination thanks to the project ‘Physical Activity Adapted to Education and Health for Young People in Jaén Province’. The jury took into account the numerous scientific dissemination activities carried out by the researchers Emilio J. Martínez López, Manuel J. De La Torre Cruz, Alberto Ruiz Ariza, Sara Suárez Manzano and Sebastián López Serrano from the UJA’s Musical and Artistic Expression and Body Language Didactics Department over the course of 2017, as well as their social engagement in general and their involvement with primary and secondary school students in particular. This top prize, which was awarded at the final gala of the ‘European Researchers’ Night’ comprises a trophy, a certificate and a 2,500 euro cash prize earmarked for activities related to scientific dissemination, research and innovation. The second prize, which consists of a trophy, a certificate and 1,500 euros, was awarded to María del Rosario Anguita Herrador, researcher with the Department of Historical Heritage for the project ‘Master Silversmiths in Jaén’. The jury acknowledged the project’s impact and how it raises awareness among society of the results from this previously undertaken research in a different way. Furthermore, the University of Jaén awarded, for the first time ever, a Prize for the Standout Disseminator of the Year, comprising a trophy, a certificate and 2,500 euros. The prize was posthumously awarded to Professor of Geography Eduardo Araque Jiménez for his career and involvement in activities related to scientific dissemination carried out during the last six University of Jaén Scientific Dissemination Plans. 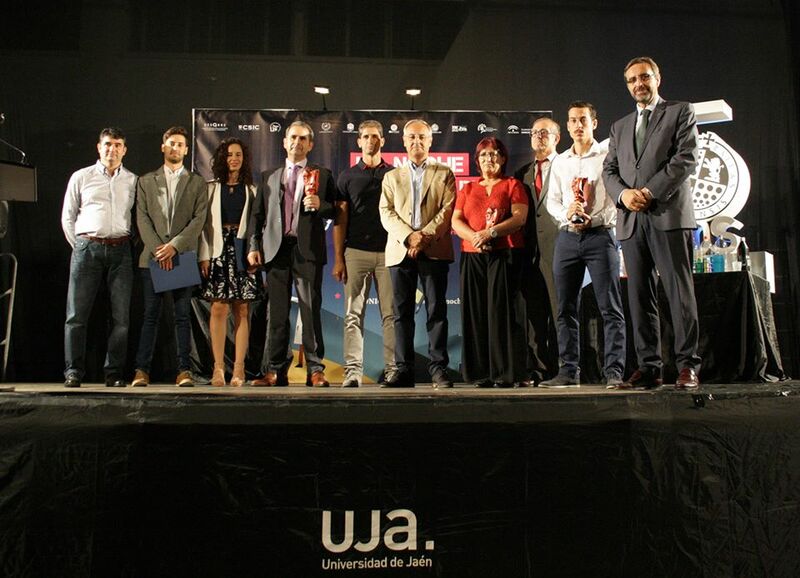 The University of Jaén Prize for Scientific Dissemination is jointly convened by the Vice-Rectorate of Relations with Society and Employability and the Vice-Rectorate for Research, with an aim to incentivise, recognise and reward the dissemination of quality-driven scientific activities among society led by UJA research staff. This initiative is part of the eight edition of the ‘European Researchers’ Night’ in Jaén capital, organised by the Department of Scientific Culture and Innovation (UCC+i) attached to the UJA’s Vice-Rectorate of Relations with Society and Employability. This represents a scientific dissemination project promoted by the European Commission within the Marie Sklodowska-Curie Actions under the Horizon 2020 programme. The collaborating partners in Jaén are Fundación Descubre, the UJA Vice-Rectorate for Research and the Vice-Rectorate for Students, Jaén City Council, the Museum of Jaén attached to the Department for Culture of the Andalusian Regional Government, Jaén Provincial Council, Jaén Cathedral, the Spanish Foundation for Science and Technology (FECYT) of the Ministry of Science, Innovation and Universities, and the El Corte Inglés department store group.